Today’s movie is a little flick called Troll, starring Michael Moriarty and Sonny Bono. 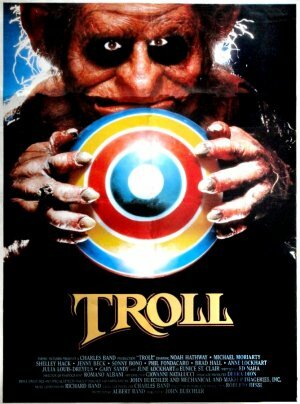 The writer for Troll was Ed Naha, who also wrote the screenplays for films like Dolls, Dollman, Omega Doom, and C.H.U.D. II: Bud the CHUD. 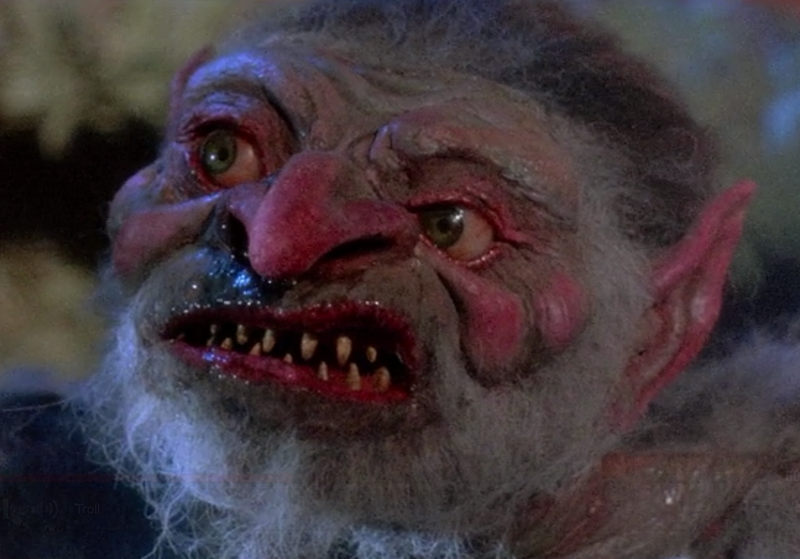 Troll was directed by John Carl Buechler, who was also behind such films as Ghoulies Go To College, The Eden Formula, and Friday the 13th Part VII. He has also worked extensively as an effects artist on low budget films like Piranha, Robot Jox, Dolls, From Beyond, Carnosaur, and The Gingerdead Man. The cinematographer on Troll was Romano Albani, who most notably shot the film TerrorVision, as well as Dario Argento’s Inferno. The editor for Troll was Lee Percy, who has cut such films as The Ice Harvest, Boys Don’t Cry, The Believer, Dolls, From Beyond, and Re-Animator over his career. The producers for Troll were Albert Band, Charles Band, and Debra Dion, who were all heavily involved with the production company, Empire Pictures. Empire was Charles Band’s initial independent company that existed throughout the 1980s, prior to the creation of the more recognizable Full Moon Entertainment. The outfit also produced films like Trancers, Re-Animator, From Beyond, Dolls, and Robot Jox, and laid the foundations for a number of Full Moon franchises. The makeup effects supervisor on Troll was John Vulich, an eventual Emmy winning effects artist who would work on acclaimed television series like Babylon 5, The X-Files, and Buffy the Vampire Slayer. The creature creation for Troll was done by the director himself, John Carl Beuchler. The rest of the team included Brent Armstrong (Hollow Man, It’s Alive 3, Starship Troopers, In The Mouth of Madness), Howard Berger (Evil Dead 2, Maniac Cop 3, Scream, The Faculty, Kill Bill), R. Christopher Biggs (Super Mario Bros., Hudson Hawk, Teen Wolf), Everett Burrell (Aliens, DeepStar Six, Castle Freak), Gino Crognale (The Spirit, From Beyond, 976-EVIL, Django Unchained), and Mitch Devane (Dolls, From Beyond, Captain America). The visual effects team for Troll was made up of Jim Aupperle (Evil Dead 2, Beetlejuice, RoboCop 3, Dollman, Son of the Mask), James Belohovek (Robot Jox, Leviathan, Evolver, RoboCop 3, Dollman), Steve Burg (Robot Jox, Leviathan, Chopping Mall, Waterworld, Interstellar), Linda Drake (From Beyond, Dr. Alien, The Smurfs 2, Chopping Mall), Kevin Kutchaver (Robot Jox, RoboCop 3, Last Action Hero, Blade, League of Extraordinary Gentlemen, Shoot Em Up), Len Morganti (School Spirit, Argo, Robot Jox, RoboCop 3, Blind Fury, True Believer), and Martine Tomczyk (Super Mario Bros., Apollo 13, The Last Dragon), as well as a handful of others. The musical score for Troll was done by Richard Band, Charles Band’s brother. He has famously provided music to movies like Re-Animator, Castle Freak, The Pit and The Pendulum, and Laserblast. The cast for Troll features a number of recognizable faces, including Michael Moriarty (It’s Alive 3, The Stuff, Q, Law & Order), Sonny Bono (The Sonny and Cher Show, Hairspray), Noah Hathaway (The NeverEnding Story), Shelley Hack (Charlie’s Angels), Julia Louis-Dreyfuss (Seinfeld), and June Lockhart (Lost in Space, Lassie). 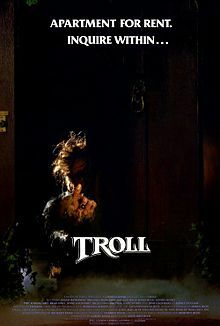 The plot of Troll centers around a young family who is moving into a new home in a San Francisco apartment complex. Unbeknownst to them, however, an evil, magical troll also calls the complex home, and has sinister plans for the new tenants. The young Harry Potter, Jr. teams up with a friendly local witch in an attempt to save his sister, who is captured by the troll as the family is moving in. Troll has received increased attention in recent years thanks to the cult popularity of the pseudo-sequel, Troll 2, directed by Claudio Fragasso. Troll 2 is widely considered one of the elite good-bad movies of all time, and even inspired a documentary about it called Best Worst Movie. 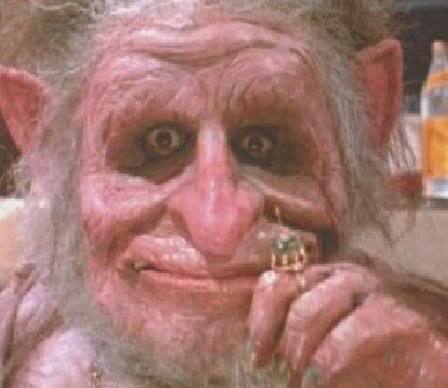 However, despite some debate on the point, Troll 2 doesn’t have any direct official connection to Troll, nor does it actually feature trolls at all in the film. Two of the central characters in Troll bear the name Harry Potter, which is of course now the title of a phenomenally popular book and movie franchise. However, the books wouldn’t be written for another handful of years, leading some to wonder if J.K. Rowling took the name from this movie. The reception to Troll was overwhelmingly poor. It currently has a 4.2 score on IMDb, along with ratings of 29% (critics) and 28% (audience) on Rotten Tomatoes. Troll had an estimated production budget of just over $1 million. It managed to gross roughly $5.5 million domestically in its theatrical run, making it a profitable low-budget feature in spite of the poor reception. Troll features, without any doubt, one of the most aggravatingly annoying child actors I have ever seen in a movie. 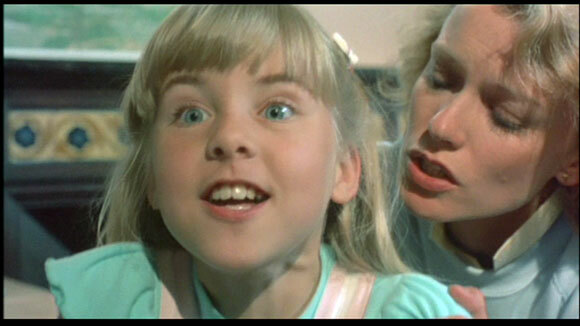 For most of the movie, the little girl character is possessed by the troll, so she has to act like an evil character in disguise. Frankly, it is unbearable whenever she starts growling or trying to be scary. 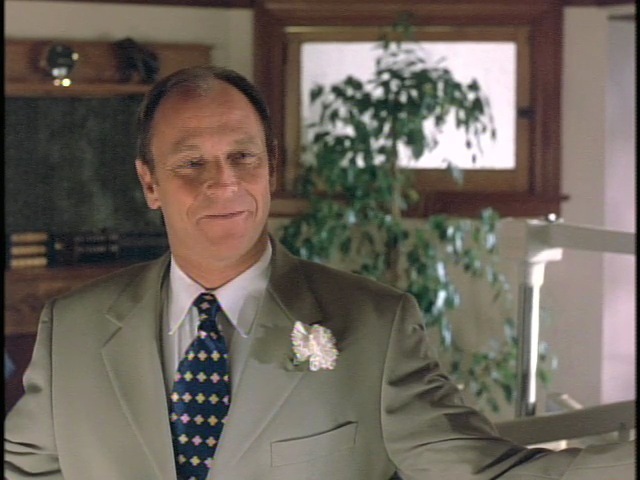 Michael Moriarty, as always, is delightfully eccentric and goofy in Troll. He isn’t quite as memorable as he was in Q: The Winged Serpent or The Stuff, but he has some solid moments in here despite not having a whole lot of screen time. Likewise, Sonny Bono plays a great scummy neighbor during his brief presence in the film, before he turns into a weird plant-thing. There were far more pop culture references than I expected in this movie, to such name brand products as Star Trek and Godzilla. I assume this was an intentional touch by Ed Naha, who seems to enjoy inserting humor and self-awareness into his movie scripts. 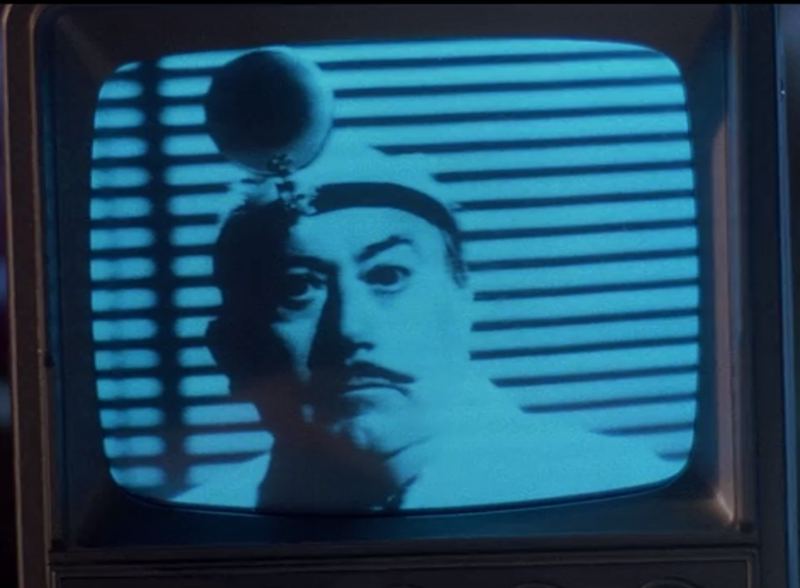 Speaking of which, there are some genuinely funny moments in this movie: I am particularly fond of the fake movie clips that show up in the background. 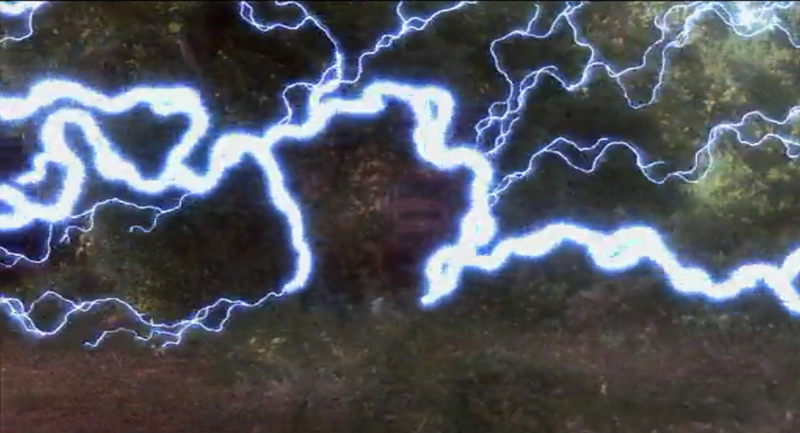 The climax of the movie features some really dated lightning effects that are impossible not to remark on. I am sure it looked at least ok at the time, but it is pretty hilarious to watch these outdated visual effects now. The troll itself isn’t particularly menacing, and something about the costume just seems unwieldy and awkward. 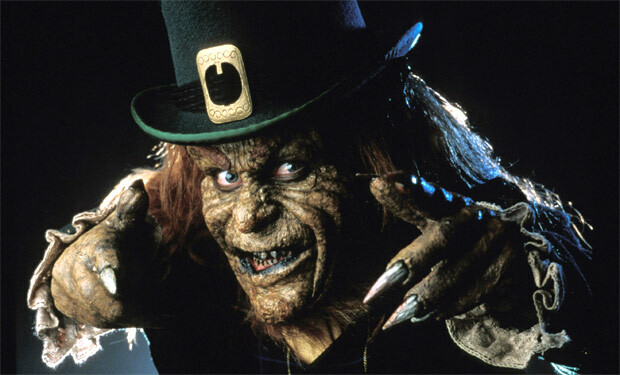 It honestly makes Warwick Davis in the Leprechaun franchise look genuinely frightening by comparison. Even worse is that the smaller troll creatures look vastly different, and amazingly look even cheaper than the central troll. Overall, Troll isn’t an elite bad movie, particularly when compared to its pseudo-sequel. However, there is plenty to enjoy here between the bad effects, hammy acting, ludicrous plot, and troll-singing. It would be worth a recommendation based on Sonny Bono’s death scene and Michael Moriarty’s presence on their own, let alone all of the other nonsense going on in this film. For bad movie aficionados, this is a must-see. Today, we’re going to take a look at the catalyst to one of the most notoriously silly horror franchises of all time: Leprechaun. Leprechaun was written and directed by Mark Jones, who doesn’t have a ton of interesting credits to his name, outside of writing a few episodes of The A-Team. He has directed a few other movies over the years (Scorned, Rumpelstiltskin, Quiet Kill), but none have had the same kind of lasting impact as Leprechaun. The cinematographer for Leprechaun was Levie Isaacks, who also shot The Dentist and Children of the Corn II: The Final Sacrifice. 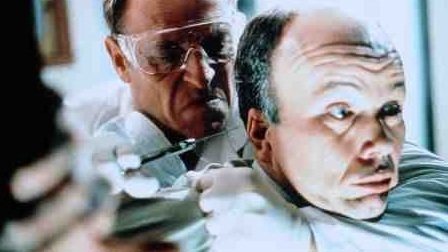 The film’s editor was Christopher Roth , who cut such films as The Dentist, The Dentist 2, and Killer Klowns From Outer Space over the course of his career. The producers for Leprechaun included Mark Amin (The Dentist, The Dentist 2, Trucks, Chairman of the Board, Leprechaun 3, Evolver), Barry Barnholtz (The Dog Who Saved Christmas, The Mangler 2), and William Sachs (The Incredible Melting Man, Galaxina, Exterminator 2). The Leprechaun effects team included Larry Arpin (The Dentist, Highlander II, Maniac Cop 3, Maniac Cop 2, Maniac Cop, Blood Diner, The Ambulance), Ken Herbster (Superman IV, Ghoulies IV), Leon Stankevich (The Blob, The Secret Agent Club), David Kindlon (Wolf, Hell Comes to Frogtown, From Beyond), Joel Harlow (Battlefield Earth, The Langoliers, Suburban Commando, Blues Brothers 2000), John Deall (It, Virus, Critters 4), Gabriel Bartalos (Dolls, From Beyond, Texas Chainsaw Massacre 2, Leprechaun 3), and numerous others. The music for Leprechaun was provided by the duo of Kevin Kiner (Hell on Wheels, Nick Fury: Agent of SHIELD) and Robert J. Walsh (Zombie Nation, Revenge of the Ninja, Jem, The Transformers, G.I. Joe), both of whom have extensive composition credits for numerous television shows. The cast of Leprechaun is led by Warwick Davis (Willow, Return of the Jedi, Labyrinth, Leprechaun 3), Jennifer Anniston (Friends, Bruce Almighty), Ken Olandt (April Fool’s Day), and Mark Holton (Teen Wolf), and is filled out by a handful of less recognizable faces. The story of Leprechaun kicks off when a family moves into a new house that was abandoned after a mysterious incident incapacitated the previous owner. Through their explorations in the home, an evil leprechaun (that the previous owner captured) is accidentally released and reawakened, and immediately goes on a killing spree through the local town in search for his stolen gold. The family has to learn the monster’s weaknesses in order to prevent it from eliminating all of the local townsfolk. 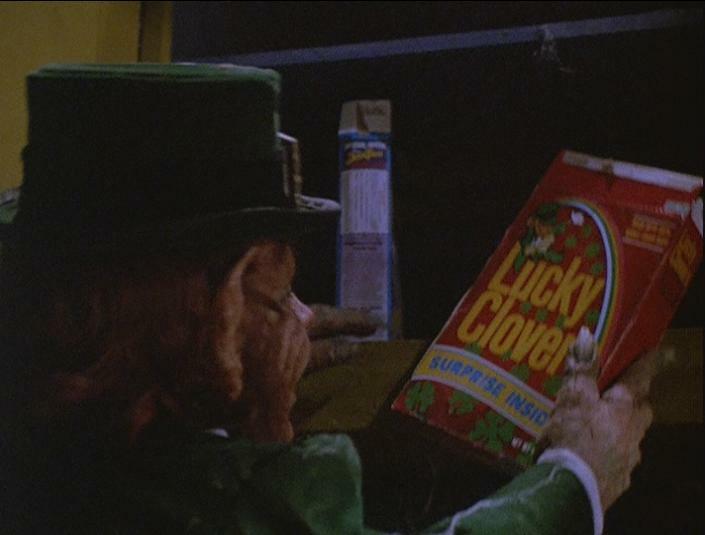 Initially, there was going to be product placement in the film by Lucky Charms, but they pulled out after seeing the final product, leading to a costly re-shoot. I’m curious what the hell they expected from a leprechaun-themed horror movie, other than what is present here? Interestingly, Leprechaun was apparently initially planned as a scary kid’s movie, but inserts were added to make it more traditional horror when producers worried that it wouldn’t resonate with adult horror audiences. The film was later re-marketed for home video release to emphasize Jennifer Anniston, who eventually took off as a celebrity over the run of the hit show Friends. 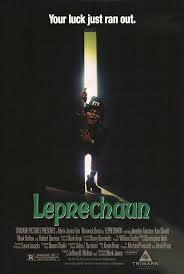 Leprechaun spawned one of the most notoriously goofy horror franchises, which is currently up to 7 installments. The franchise is best known for outlandish location gimmicks, taking the sinister creature to space, Las Vegas, and the ghetto (twice). The most recent film was a rebooted take on the story made in 2014, called Leprechaun: Origins. The reception to Leprechaun was generally negative, and it currently holds a 4.6 rating on IMDb alongside Rotten Tomatoes scores of 25% (critics) and 32% (audience). 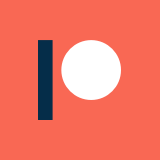 However, the entire franchise has a dedicated cult following that has allowed it to survive through the years. Leprechaun was made on a reported production budget of $900,000, and grossed just over $8.5 million in its domestic theatrical run, making it a profitable little movie. Leprechaun is, of course, packed with silly rhymes and one liners. However, that is what the movie is all about when it comes down to it: Freddy Krueger without any element of menace, and a penchant for verse. It is a licorice type of movie: you will love it or you will hate it, and there isn’t much room for middle ground in between. Over the top deaths might be a signature of the Leprechaun series, but there are not as many as you would expect in this first film. I think, all told, only four people wind up dead, and at least half are mundane deaths. That said, it doesn’t get much better than the pogo stick death in this movie. Leprechaun contains some truly dreadful acting, particularly from the comic relief painters. However, Anniston is also pretty terrible, making it a wonder that she has gone on to have the career that she has had. Jennifer Anniston’s character in this movie is unbearably bratty as the story begins, and can somehow afford to constantly drop money on things, despite the fact that it is never really established that the family is super-wealthy. She theoretically softens as the film goes along, but she is overall less likable than the Leprechaun himself. Leprechaun rides the border of being a horror movie at all, and just being a failed comedy. Nothing is particularly scary about it, and from what I have read, that is how it was initially designed. If you think of it as a movie-length Are You Afraid Of The Dark?, the style makes a lot more sense, specifically in regards to the acting and the humor. One of the key motivations for a couple of characters chasing down the Leprechaun’s gold in this movie is to be able to afford an operation that can supposedly make a mentally handicapped person ‘smart’. The way it is explained in the story initially made me wonder if the kid character who proposes this is just deluded/misinformed, or if the writer actually thought that this sort of operation actually exists. However, the kid acknowledges towards the end that such an operation towards the end, bringing up even more questions about what he was supposed to do with the gold, and why he bothered lying about the operation in the first place. Overall, Leprechaun is a weird little movie that doesn’t quite know what it should be, and that is painfully obvious from watching it. As far as a bad movie watch goes, some of the sequels are way more fun, but it is worth watching this one to have a foundation. Warwick Davis also definitely has his entertaining moments here and there that make it worth watching. Personally, I found it a little easier to sit through after finding out it was supposed to be for kids initially, which gave me a different outlook on it. As I mentioned earlier, the best way to watch this movie is to think of it as a really long episode of Are You Afraid of The Dark? or Goosebumps.